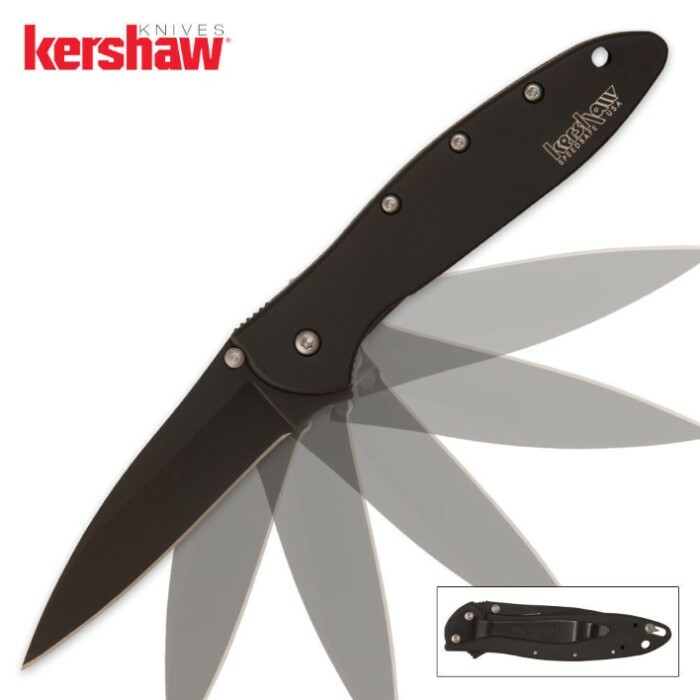 Kershaw Leek Assisted Opening Pocket Knife Black | BUDK.com - Knives & Swords At The Lowest Prices! This slim and stylish black Leek knife features the SpeedSafe assisted opening mechanism that enables the Leek to be opened quickly using either the ambidextrous thumb stud or the index finger flipper. All Leek models have handles that are drilled for both tip-up and tip-down clip carry. This knife is awesome. By far the best pocket knife I have owned. Unfortunately it feel out of my pocket and I did not notice. This was no fault of the knife because the pocket clip is very strong. If you have the money and you are looking for a high quality everyday carrier, then this is for you.